It will first be visible at 10.30pm on February 10 as a subtle shadow and will be most visible at 12.43am and will end at 2.52pm. It will be visible from Europe, most of Asia and North America, and Africa. February’s full moon is traditionally known as a Snow Moon because this month usually sees the heaviest snowfall. As it’s the moon it should be very easy to see and you’ll have a decent amount of time to see it too. The moon rises at 4.44 pm on Friday and then sets at 7.30 am. So we are not that near New Year – or Chinese New Year for that matter – but the New Year comet gets its name as it began its journey across the northern hemisphere at the end of last year. It will be visible to the naked eye on February 11 so you might have to stay up late to catch it. First spotted in 1948, it’s a periodic comet and visible from earth every five and a quarter years. It is likely to appear as a faint object moving across the sky. Learn about the connection between the stones and the sky and see the night sky from Stonehenge with a leading archaeologists and astronomer on a guided walking tour. Stonehenge and Guided Tours and Stonehenge Walks organise these exclusive tours. Prof. Fred Hoyle followed up Hawkins’ work on the eclipse predictor idea and came up with a relatively simple recipe for moving markers around the 56 Aubrey Holes to keep track of the Sun, Moon and the two points in the sky where their paths cross (the “nodes”). He published this work in two journal articles in 1966 and then in his 1977 popular book “On Stonehenge”. So how does this eclipse predictor theory work and is it possible that the Aubrey Holes were in fact used like this? We’re going to have to get slightly technical, but it’s not too hard to follow. Hoyle said that you need a marker for the Sun, one for the Moon and two more for the “nodes”, and that these markers are moved around the 56 holes of the Aubrey Hole circle in a particular way. The Moon goes around the Earth once in about 27.3 days (the “sidereal month”) so if you move your Moon marker two Aubrey Holes per day it’ll go once round the circle in 28 days. The Sun goes around the entire sky once in about 365.25 days (the “tropical year”), so if you move your Sun marker two holes every 13 days it’ll go once round the circle in 364 days. The points where the paths of the Sun and Moon appear to cross (the “nodes”) also gradually move around the sky, taking 18.61 years to make one revolution. This period is called “the regression of the lunar nodes” and occurs because the Moon’s orbital ellipse actually rotates slowly around the Earth. The Moon’s orbit is also tilted by about 5° to the path of the Sun in the sky, which is why we don’t get eclipses every New and Full Moon – we only get eclipses when both the Sun and Moon are at or very near the “nodes”. The node markers are always kept opposite each other – there’s the “ascending node” and the “descending node” – one for each of the two crossing points on opposite sides of the sky. To keep track of the nodes, you move their markers 3 holes each year – in the other direction to the movement of the Sun and Moon markers. This means the node markers go backwards round the circle once in 18.66 years. Now, 28 isn’t 27.3, 364 isn’t 365.25 and 18.66 isn’t 18.61 but the inaccuracies can be corrected. Every month you can fix the Moon marker by making sure it’s in the Aubrey Hole directly opposite the Sun at Full Moon. Twice a year, at the solstices, you can make sure that the Sun marker is in the Aubrey Hole closest to Stonehenge’s main axis – either the Aubrey Hole towards the Heel Stone at summer solstice or the one directly opposite it across the circle at winter solstice. The error between 18.66 and 18.61 is actually small enough not to matter. Suppose you see a lunar eclipse one night, this allows you to set up the markers in the first place. The Sun and Moon markers are placed directly opposite each other (because lunar eclipses are only possible at Full Moon) and the node markers are placed one each in the same holes as the Sun and Moon markers. Now you follow the recipe for moving the markers, day by day. If you ever end up with the Sun and Moon markers in the same hole together, and they’re in the same hole as (or in the hole next to) a node marker then this predicts a solar eclipse. Sun and Moon markers in the same hole means New Moon, and solar eclipses are only possible then. The following animation shows how this works, starting with the solar eclipse of March 20th 2015 and predicting the subsequent lunar eclipse of 4th April 2015. If all this seems very unlikely and complicated to manage, then you may be right. Hawkins’ and Hoyle’s theories simply show how a 56 hole machine with four markers could be used to track the things that allow you to know when to expect an eclipse to occur. One of Atkinson’s objections was that if 56 was a useful number for eclipse prediction in the ancient world then it’d be found all over the place – not just at Stonehenge. What’s more, up until the 1960s the number 56 wasn’t associated with eclipse cycles by astronomers. The argument continues even 50 years on – the builders of Stonehenge clearly weren’t “howling barbarians” and the builders of that monument and others definitely paid attention to the sky and how things moved around it. Perhaps we’re still underestimating our ancestors’ abilities, despite the evidence they’ve left behind. Stonehenge guided tours are considered the leading Stonehenge experts and offer a range of guided tours including Full Moon and Eclipse Tours, many taking you into the inner circle at sunrise or sunset. 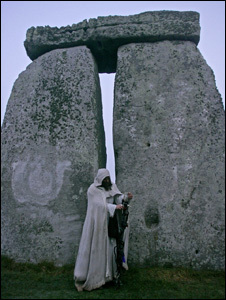 Private Stonehenge tours with a Stonehenge expert and astronomer can easily be arranged. If you want to here more about Stonehenge and the astronomical calendar you could join a Stonehenge walking tour with a local Archaeoastronomer who offers amongst guided walks, talks and even full moon tours. The Orionid meteor shower will be at its peak — 20 showers per hour — in the morning of 21st October 2016. Sky gazers in the United Kingdom can brace themselves for a visual feast, thanks to the meteor shower that will light up the sky this October. The meteor shower is called Orionid and originates from the remains of the Halley’s Comet. The shower is likely to take place from October 2 to November 7, a Science Alert report said. The Earth passes through the Halley’s Comet trail twice annually. The last time the planet passed through the trail of Halley’s Comet was in May and Eta Aquarids meteor shower was observed. The meteor shower will be at its peak — 20 showers per hour — in the morning of October 21 2016. However, scientists have said that the shower will be seen at pre-dawn from today up to October 15, as the moon is likely to hinder the visibility later on. Various planets, stars and constellations can be observed this month along with the meteor shower. Uranus will be visible opposite the Sun in the east post sunset on October 15 and the full moon will aid the visibility. Jupiter will be spotted along with its moon with naked eyes during dawn in the east on October 28. Saturn and Venus too will be seen too in the low south-west skies on October 30 and Venus will be more luminous than Saturn. Aldebaran, the orange star which is known as the bull’s red eye of the constellation Taurus, might be seen in the dark skies on October 18. Also, radiant stars Alpha Leonis and Eta Leonis from constellation Leo can be seen before sunrise on October 25, National Geographic reported.